The Merry Large 2-in-1 Configurable Dog Gate and Pet Crate provides your dog with a secure resting area and also functions as an accent piece of furniture in your home. 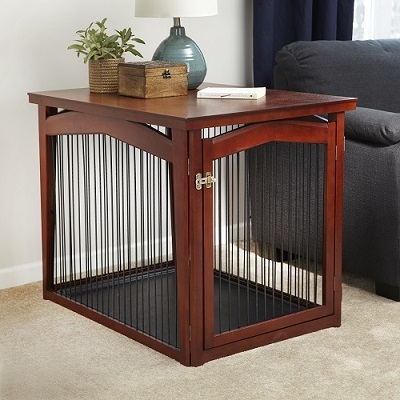 When used as a pet crate the solid veneer cover turns this pet gate into end table style furniture. 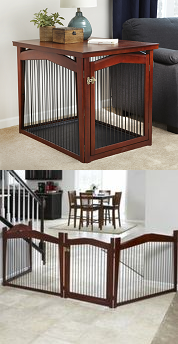 Used as a pet gate the Merry 2-in-1 Configurable Dog Gate and Pet Crate can be used to close off doorways and/or open spaces. Each panel is easily removable to accommodate smaller openings. A removable plastic tray is also included to protect flooring when used as a dog crate. The Merry 2-in-1 Configurable Dog Gate and Pet Crate is easy to assemble with no tools required. 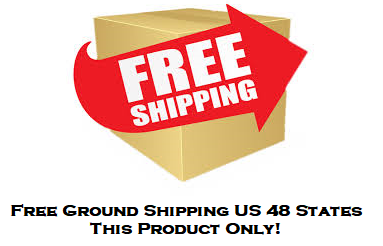 We are sorry the Merry Large 2-in-1 Configurable Dog Gate and Pet Crate can only be shipped Ground.